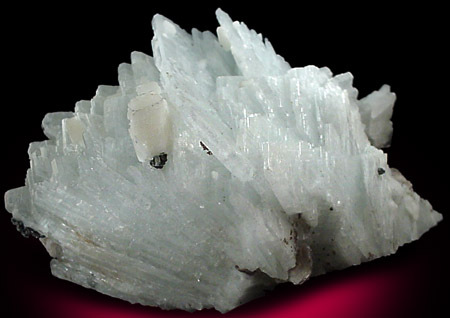 Description: Large specimen of light-blue cleavelandite crystals up to 6 cm in fan-shaped formation. Scattered white orthoclase crystals up to 2 cm and silvery muscovite crystals up to 5 mm are overgrown on the cleavelandite. Very clean and lustrous.